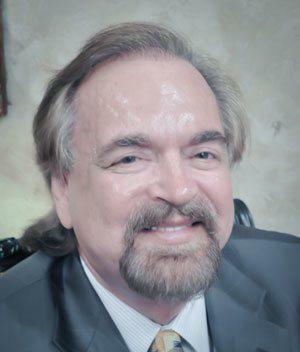 Dr. Gilmer, a Middle Tennessee native, and one of Nashville’s top plastic surgeons, received his undergraduate degree (B.S) at Middle Tennessee State University in premed, May of 1969. After graduating in 1973 from the University of Tennessee Medical School, Dr. Gilmer completed his post-graduate surgical internship at Queen’s Medical Center, Honolulu, Hawaii in June of 1974. Between 1974 and 1977, Dr. Gilmer continued his post-graduate training and his 2nd, 3rd, and 4th year surgical residency at Baptist Hospital, Nashville, Tennessee. July 1974-July 1977. In the 4th year of his residency, he was chosen as Chief Resident in General Surgery at Baptist Hospital. After finishing his residency, Dr. Gilmer opened up a private practice in general and vascular surgery from 1977-1981. He attained privileges at Baptist Hospital, West Side Hospital, Park View Hospital, St. Thomas Hospital, Southern Hills Hospital, and Park Side Surgery Center. He received his board certification for general surgery from The American Board of General Surgery in 1979 and board certification from Fellow of the American College of Surgeons in October of 1980. Having always been interested in plastics, Dr. Gilmer continued his education and completed his plastic surgery residency at St. Louis University in June of 1983. Dr. Gilmer was the first plastic surgeon in Middle Tennessee to perform liposuction in 1983. He is also the only plastic surgeon in the area to perform the highly popular transumbilical breast augmentation where the breast implants are inserted through the belly button to prevent scars on the breasts. In 1983, Dr. Gilmer opened up his medical practice at Mid-State Medical Center located in Nashville specializing in plastic and reconstructive surgery. For four years, he was a trauma ER plastic surgeon at several local hospitals. Dr. Gilmer received his board certification from the American Board of Plastic Surgery, November 19, 1984. Wanting to spend more time with his family, he refocused his practice to concentrate more on cosmetic based procedures. Dr. Gilmer has developed one of the most respected and distinguished practices in the area. His office based surgery center is certified by the American Association For Accreditation of Ambulatory Surgery Facilities, INC. Currently, Dr. Gilmer has hospital privileges at Baptist Hospital, Centennial Medical Center, Centennial Outpatient Surgery Center, Nashville Surgery Center, and St. Thomas Hospital. In 2018, Dr. Gilmer became the Medical Director for Ritz Med Spa. Dr. Gilmer has been married for 40 years and has three children and one grandson. In his free time, Dr. Gilmer enjoys raising horses and flying his plane. Dr. Gilmer is a member of the American Medical Association, Nashville Academy of Medicine, Tennessee Medical Association, Davidson County Medical Society, and the Nashville Surgical Society.